A First for Everything : Just speechy! It has been a busy and productive weekend! I have published my first two projects on Teachers Pay Teacher's! I decided to start with projects that I have a need for in my own classroom. 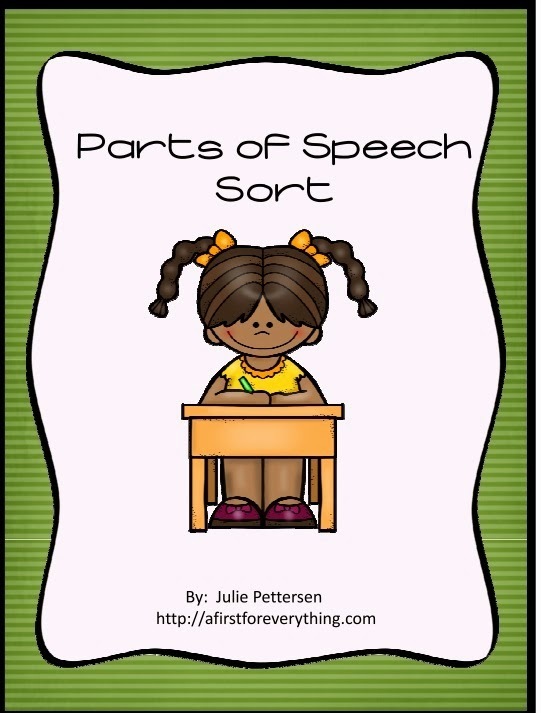 This first paid item is a parts of speech word sort. 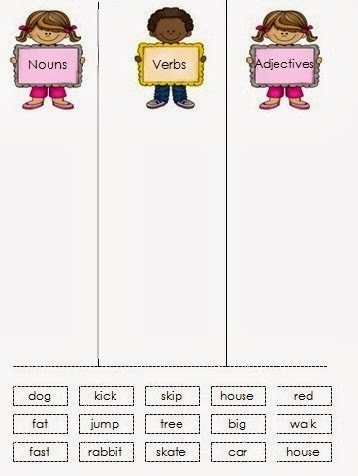 The six page packet includes 3 mini posters (one each for noun, verb and adjective) as well as a word sort. Students read and cut out the words and glue each word below the correct heading (part of speech). I begin the lesson by introducing each poster and after discussing what a noun is students write a noun on a sticky note and add it to the poster. 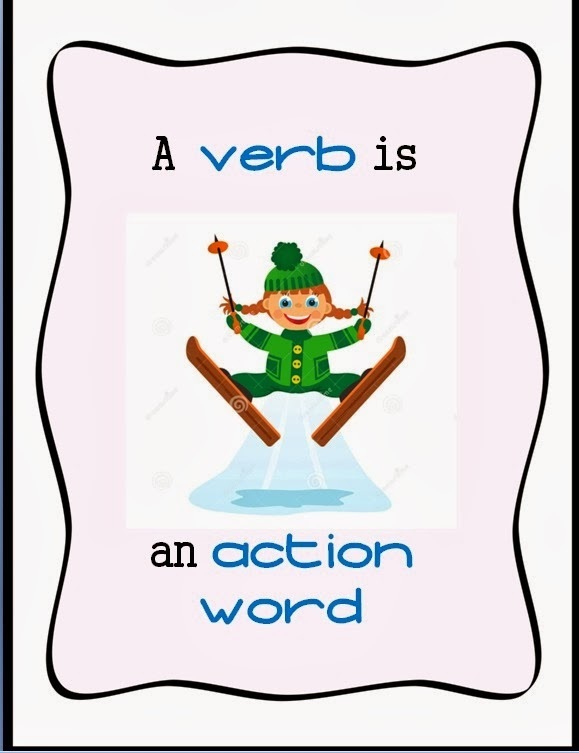 I repeat this process with the verb and adjective posters. This can also be completed over a few days if that is your preference. This activity aligns with the Common Core Standard for ELA-Literacy.L.1.1. and is on sale now in my store.